SARAJEVO, Bosnia-Herzegovina — Authorities say a 6-year-old boy died when he triggered a landmine while collecting wood with his father in the forests of central Bosnia. The father was wounded in the blast. Aldina Ahmic, spokeswoman for the police in central Bosnia, says the area the two were exploring Friday is a marked minefield some 50 kilometers north of Sarajevo. Ahmic says the boy died instantly. His father, 37, is being treated at a Sarajevo hospital for serious shrapnel wounds. Bosnia’s 1992-1995 war turned it into one of the world’s most mine-infested countries. 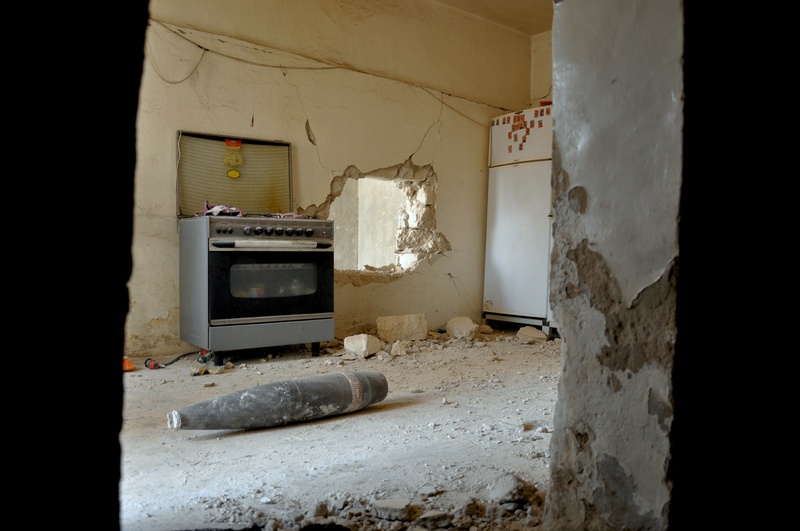 Clearing the explosive devices is costly and complicated. According to Bosnia’s Mine Action Center, 1,674 people have been killed or injured by mines since the war ended. The death of an Estonian explosive ordnance disposal technician in Libya this spring illustrates the continuing problem of loose weapons stockpiles almost a year after Col. Muammar el-Qaddafi was driven from power. The technician, Kaido Keerdo, died in March while examining unexploded munitions scattered near a police compound and checkpoint in Ad Dafniyah as part of his work for the nongovernmental group Danish Church Aid. 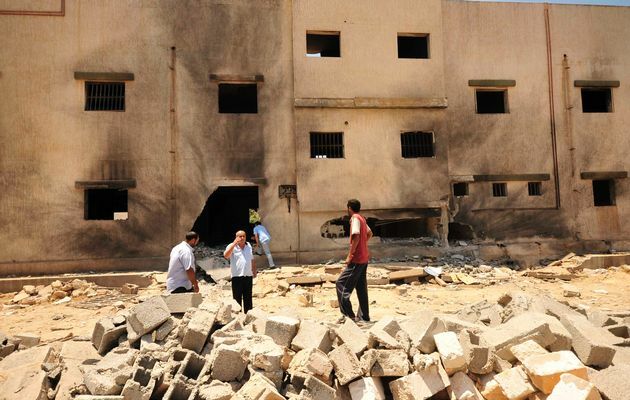 The checkpoint had been fought over by rival Libyan militias three nights before. The groups were quarreling over access to 22 shipping containers of Qaddafi-era munitions, according to the aid group’s investigation, the findings of which were described this week to The New York Times. One of the containers was struck during the fighting and caught fire. The explosion that followed ruptured at least 11 containers, heaving into the air a poorly stored collection of grenades, rockets and mortar rounds, some of which landed almost 500 yards away. 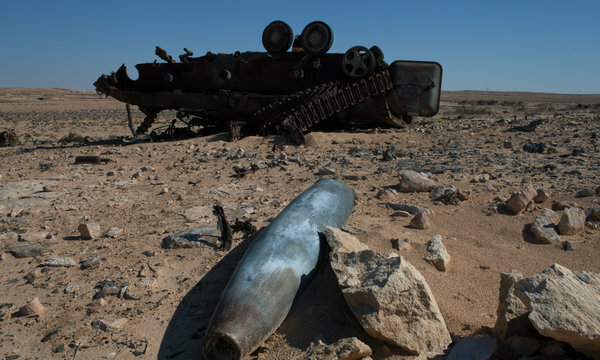 The munitions, once seen by Libya’s armed groups as instruments for breaking free from internal repression and making the country safe, were then scattered near houses, a mosque and a school along Libya’s main coastal road. The inadequately trained militias and ad hoc police officers had stored rockets and shells with fuzes inserted, a configuration that compounded their dangers. Among this refuse were 122-millimeter rockets containing Type 84 land mines, one of the most volatile weapons in Libya’s prewar stocks. Mr. Keerdo, a demining team leader, was surveying the police compound and apparently knelt near one of these rockets. At least one mine exploded, killing him instantly. COLOMBO — A 15-year-old boy was killed when a bomb belonging to the Liberation Tigers of Tamil Ealam (LTTE) exploded in his hands at a beach in Nainateevu, Jaffna. Investigations have revealed that the ‘Arul bomb’ which the boy had picked up on the beach 10 minutes away from his home, was corroded and was unidentifiable as an explosive. 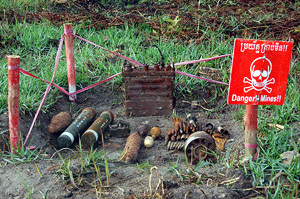 The bomb was a popular explosive used by the LTTE during the three-decade war against the Sri Lankan army. “We were able to determine that the Arul bomb the boy had picked up was heavily corroded to an extent that the boy could not identify it as an explosive. We believe it might have exploded when he tried to clear the corrosion because he would have thought it was something of value,” said Military Spokesperson Brigadier Ruwan Wanigasuriya. The parents of the boy said that their son had the habit of combing the beach for interesting items every morning. BEIRUT: Lebanon’s efforts to recover from rampant land mines and cluster bombs in the south have received a new donation from Italy, it was announced Friday. The Italian Foreign Ministry’s Development Cooperation Department has approved a financial contribution of 500,000 euros ($677,350) to the UNDP for the Lebanon Mine Action Program (LMAP), the ministry said in a statement. 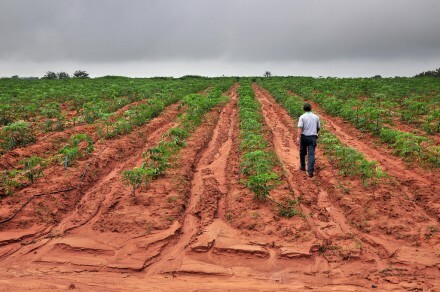 The initiative aims at empowering communities affected by cluster bombs, through a demining program to reduce the risk of death and injuries and alleviate the socio-economic impact of cluster bombs.